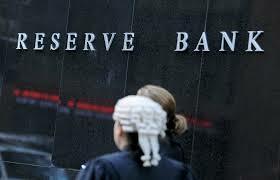 The Reserve Bank of Australia (RBA) has cut the cash rate to a new record low of 2.5 per cent, citing below average growth and moderating commodity prices. The RBA last cut the cash rate by a quarter of a percentage point in May, after making four cuts in 2012. In a statement accompanying the decision, RBA governor Glenn Stevens said growth was still below trend, but there was a “reasonable prospect” of it picking up in 2014. “This is expected to continue in the near term as the economy adjusts to lower levels of mining investment. The unemployment rate has edged higher,” he said. Stevens noted that the Australian dollar has fallen 15 per cent since April, but said it was still quite high. “The board has previously noted that the inflation outlook could provide some scope to ease policy further, should that be required to support demand,” he added.